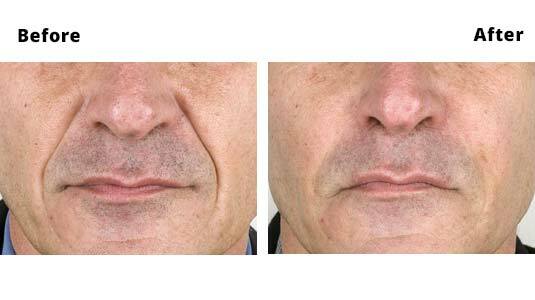 Lines stretching from the corner of the nose to the side of the mouth are known as the naso-labial folds. These lines are usually produced as a result of strong muscles of smiling and can be a feature of ageing in some individuals. The lines are very easily treated with Dermal fillers and can be softened quite dramatically with a 5 minute procedure. Again, usually a Dental block is used, which numbs up the area allowing needles to be used painlessly to inject filler to replace volume which has been lost over time. The treatment lasts between 4 months and 2 years depending on the type of product used to correct the lines.